The Vermont Big Game Trophy Club reports that Chris Harding’s 2017 Bennington County giant is the highest-scoring buck recorded in the state since 1991. The buck scored 176 7/8 NT, with an inside spread of 23 2/8”. 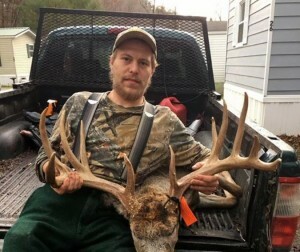 Way to go Chris, I believe this is the first Vermont buck ever posted on BIG DEER.